I've bought a new piece of luggage which is great in every way except that... it's completely black and looks like half the other bags. 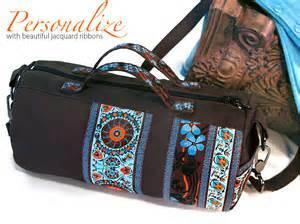 What's an easy way of making my luggage unique, ideally without also making it hideous in the process? Personalize it with stickers / decals / patches! 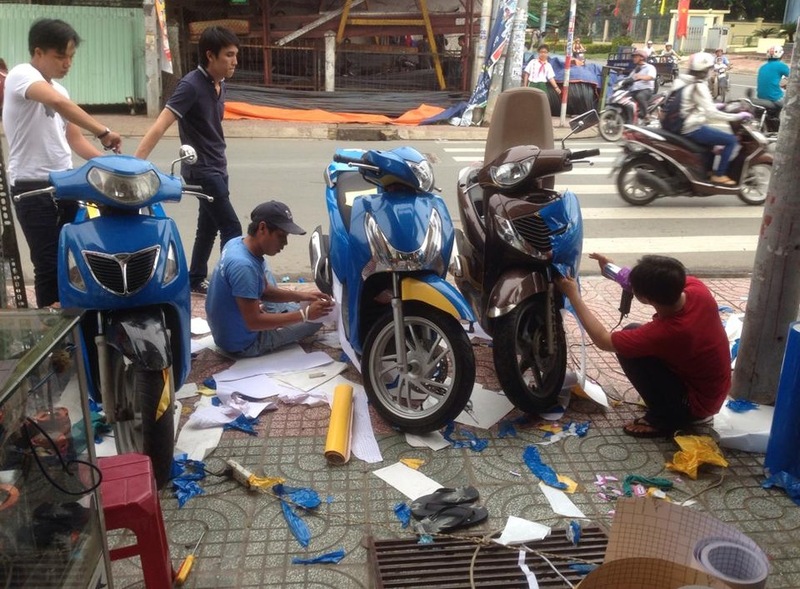 This technique is very widely used in Vietnam to distinguish the millions of scooters everybody rides, which are in a range of a dozen or so makes and models so every parking area would have a few just like yours. Such is the demand for disambiguating decoration that there are "Dán Keo" shops and curbside vendors almost on every corner! 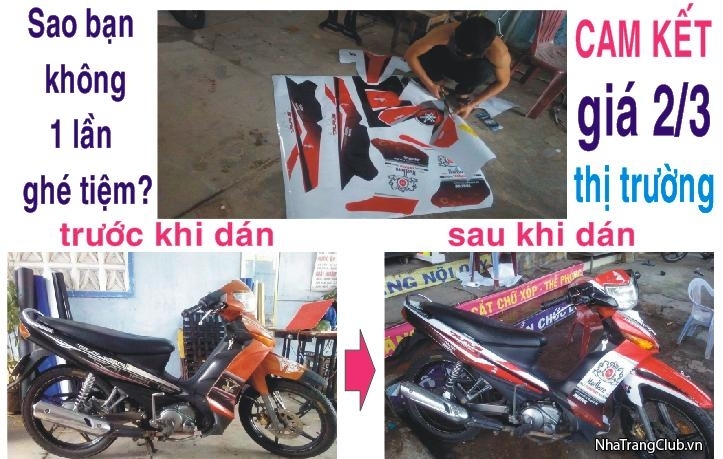 The exact same principles apply to confusable luggage as to confusable bikes. The materials may differ. It's surely a lot easier to decorate a piece of luggage than the complicated curvy surfaces of a scooter. And of course many people do the same thing with their laptops. Colored duct tape. It comes in hundreds of colors and designs, is durable enough to last many, many trips, is cheap enough to be replaced when it does start to wear, and is easy to apply. This is my preferred method over the previous answers like ribbons, laces, and ropes because tape doesn't hang off the luggage, so it won't get caught and ripped off during transit. I usually apply it to most of the sides, so that it's easy to see no matter how the luggage is facing. Just apply it in a way that you find appealing, and you're good to go. When I had a piece of plain luggage, I used to tie a short piece of bright blue rope around the handle. Then on the carousel it was easy to spot - just look for the blue rope. I also had a piece I spray-painted with a bright orange 'X'. Luggage tags. You can buy them in tons of colors, shapes, and sizes. They'll make it easier to see your luggage on the carousel and you can check the tag once you get it to double-check you have the right piece. 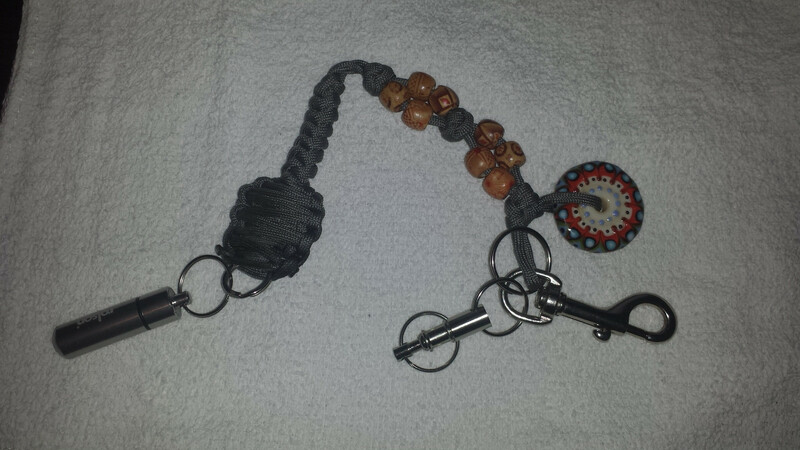 Zipper pulls. Lots of options in shape, size and color again. 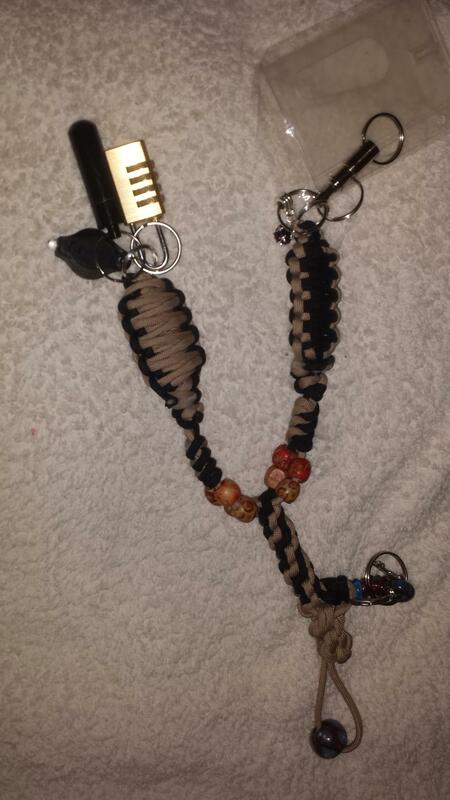 And although I don't have a source my guess is that not many people put custom zipper pulls on their luggage. A luggage belt. They generally have a nylon buckle and wrap around the luggage. Lots of widths, patterns and color to pick from. Of course, you might find some of these suggestions aesthetically unpleasing, and I'm sure there are other ways to make your luggage stand out I'm not thinking of. Decorate it. Tie ribbons around the handle - get one of those many-stranded present decorating ones if you like. Tie different ribbons around different handles. Sew a large flag onto it. Buy a strong elasticated strap that buckles around the whole suitcase as "breaking open" insurance and choose an unusual colour or pattern for it. When I did this to a brand new suitcase that I bought the night before a trip (having discovered my grown child had NOT returned a borrowed suitcase only when I went to pack) I took a picture of it and had that on my phone. That way you can remind yourself "blue ribbon on the top handle, red bow on the side handle." It also works if you need to fill out a description for lost luggage. 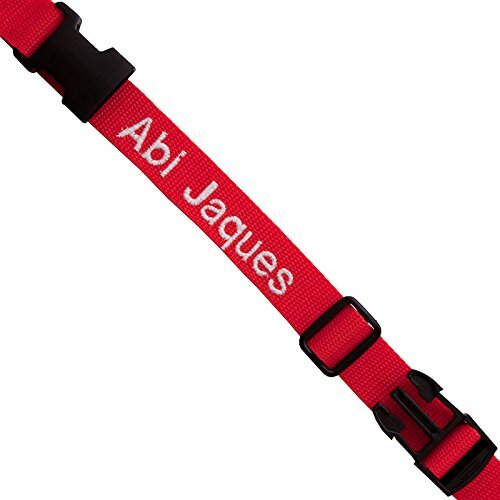 Get yourself a set of personal luggage strap, with your name in large letters on them, they come in a large choose of colours. If you put two on in different colours, it is most unlikely anyone else would have done the same, even with one, it is unlikely someone else will have a case of the same size with the same colour strap. I always write my baby's nick name with a marker in as big a font as I can on the sides and the top and the bottom of the bag. When the bag is black and the marker is white it makes it so easy to spot even from a distance. If you ever need to clean the name off there are tons of ways you could do that. This method has always worked for me without the need of anything extra. Like this, but on all 4 sides and then on top and bottom as well. Now the bag can be thrown on the carousel in any direction and you will still be able to spot it. Best thing about this method is that you don't need anything fancy that can either fall off during transportation or needs to be taken care of while you are on your trip. Just write it once before you leave on your trip and you don't need to worry about anything throughout the trip. When you get home you can decide if you want to remove the ink, I don't. Cloth ribbons especially the wide sturdy kind, or long scarves or strips of fabric, alternatively colored straps or even rope if that's what you've got, will often do the trick. Sometimes we would wrap them closely around the handles, or loop them snugly around the bag like luggage straps - just make sure there's a break in the ribbon, or a tie point, where you might need to get at pockets or zippers. I noticed the other picture with conventional decorative ribbon in curls and bows, but cloth ribbons come in a lot more colors and patterns, you can pick ones that are distinctive, and also pleasing to your eye. The cloth ribbons also come in bigger sizes (so a smaller amount is needed to make it visible) - as opposed to the thin decorative ribbon, which is harder to see unless you've got a lot. 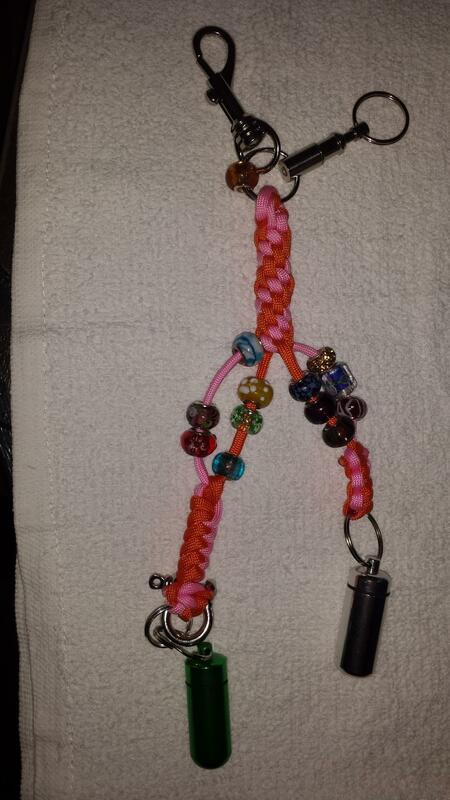 You can cut any dangling loops short, or tuck them in, if you're worried about the ribbons getting caught. You can pin or glue or even stitch the ribbons (or even cloth patches) to the suitcase, for a slightly more permanent solution. Cloth should be pretty durable, it won't pull off or break easily - and again, the amount of patterns that are available are enormous. Far more, I believe, than any amount of duct tape patterns or luggage covers, so you can be really, really sure of finding a setup or combination that is distinctive and not to be easily confused with someone else's luggage. you could also add stickers - much the same positives and negatives as the duct tape answer, but I thought I would mention it. 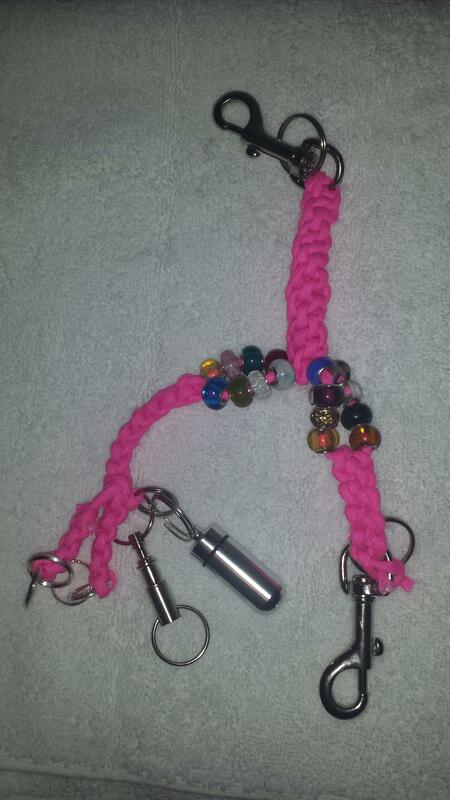 I like to tie a short length of coloured string to the zip pullers, the handles and any other places that are easy to tie to. 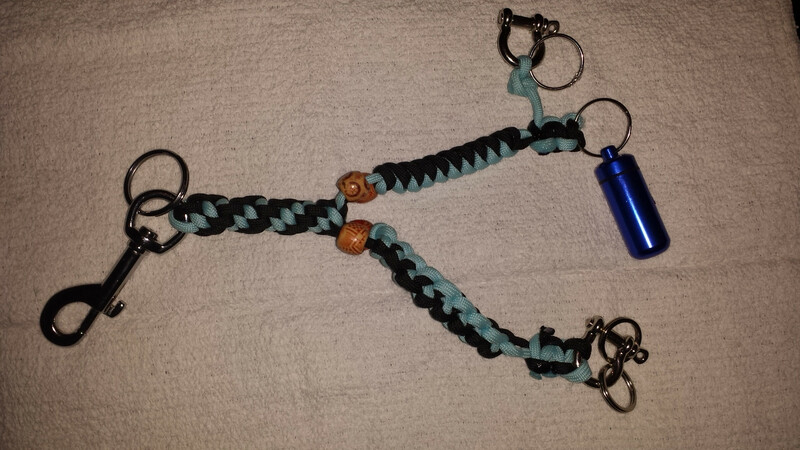 I use a simple overhand loop adjusted to make the loop fairly tight. Then I trim the two free ends to between 2 and 4cm long. I have used most of what the other posters have posted. But there was one time when I was out of all those options. I wrapped both the handles (just the handles) with Sellotape. Was easily available where I was. 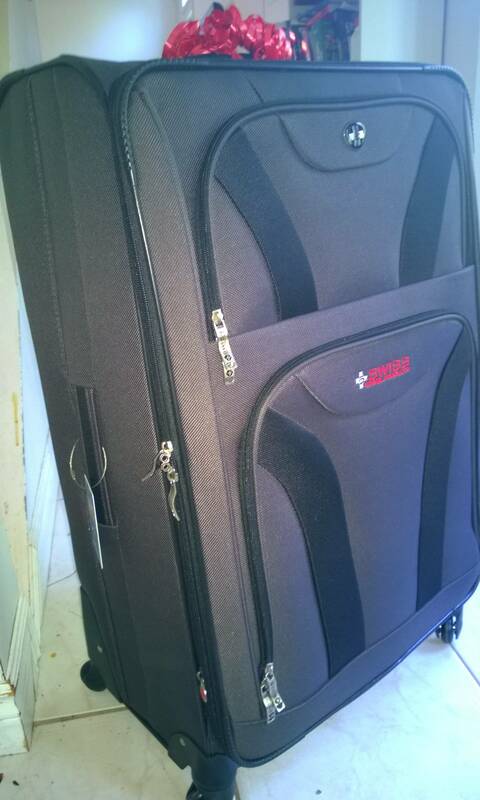 Had to squint me eyes a bit but was able to distinguish my suitcase from the rest from afar. 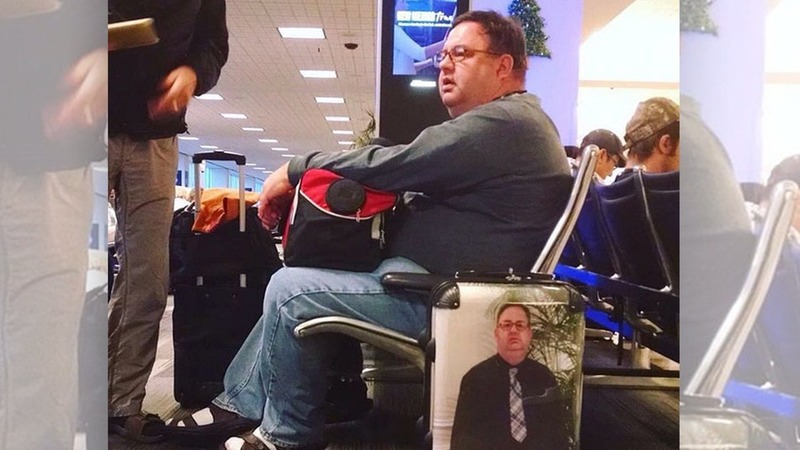 Get a luggage cover. Wraps around your luggage to provide some protection, and immediately distinguishable from any angle. Available in a lot of different patterns for around $10-20 on the likes of Aliexpress and Ebay, and there are merchants who will make one with your own design if you're worried about uniqueness. There are two 'regulars' on the site who engage in the hobby of decorative knotting (I won't mention the other one, but those who know will know). For the special case of bum-bags, day bags, man-bags, and backpacks, I make a tactical accessory that's useful for easy identification. I never sell them, they are always gifted. The basic pattern is a bolt-snap at one end and a bifurcation on the other end with split rings and other bits and bobs that might come in handy. The "mandala" beads shown below are made by an artist in Slovenia and cost from EUR 35 per bead, but I made a special deal to purchase her 'rejects' for a lot cheaper. Duck tape: Sturdy and cheap but it's pain to remove since it leaves so much residue. Gaffers Tape: Much less sticky and no residue. Might have to change it more often but it has yet to fall in transport. Ribbons: Works too but more likely to fall. Stickers: Great as they can easily be unique. Fancy tags: People steal them. Many times I had nice tags (such as Lego bricks ones fro Legoland), the tags were gone when the suitcases arrived. After having been to the Lost Luggage department of several airports which you need to visit for lost luggage, misplaced luggage, forgotten, mis-routed or damaged items, my rough estimate is that 96% of suitcases there are black, the rest are mostly red. Personally I had 2 lost black suitcases and 2 that were not unloaded at my stop. Small black suitcases can be hard to see in the plane cargo, and so these 2 pieces (on separate flights) were not unloaded at the stop and were only found later at the plane's final destination. On the other hand: the Sunshine yellow one never got lost (and have seen another come out of the carrousel) and neither did the 2 lime-green ones (although I've seen 2 or 3 similar color but not model and a flight) and neither did the Sky Blue suitcase. So many good ideas :-). 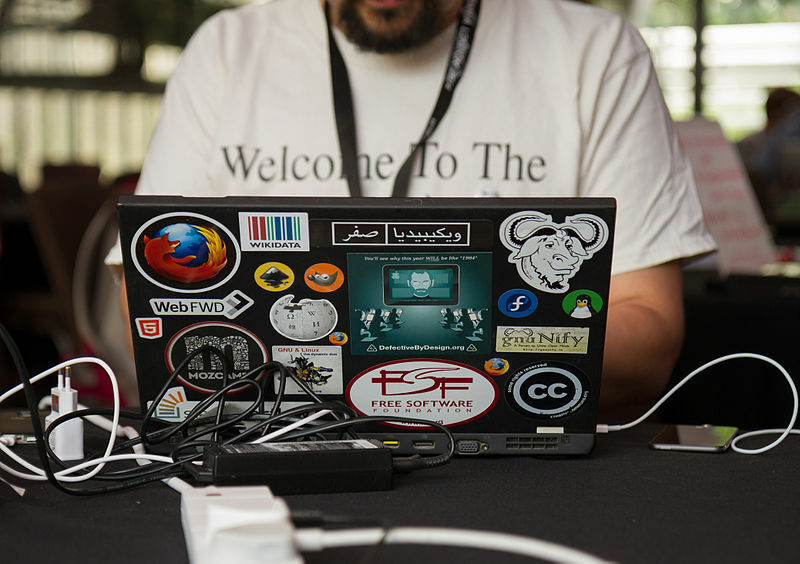 Best of all (shields up) - a BLE (Bluetooth low energy) beacon in your bag. If you are concerned that the airline may be concerned by the presence of such devices (and by now airline systems had better be utterly immune to them or we are all in trouble) then a keyed BLE receiver in the suitcase that responds to your coded poll would be viable. Such devices are available to "talk to" cellphones via Bluetooth, and there are also end to end systems using BLE dedicated equipment in keyfob/pocketable sizes at both ends. Cellphones are usually allowed to be used from some peiod before doors are opened onwards. Use at customs/security may see you detained. Use at the baggage carousel is liable to be acceptable, but can be very low visibility with perhaps a subtle-as-desired beep when the bag starts talking to you and an indication of range based on signal strength , if desired. Flashing lights, sirens and explosions optional but not recommended. Extra points: Bag rolls off carousel as it reaches you. Failing the above, I find that anything that makes the bag personally identifiable to you at a glance works well. A cheap wrap around rainbow luggage strap may be enough. Not unique but greatly reduces the black-bag-sameness. Two such ar right angles is something I've not yet seem anyone else do - and they only cost a few dollars each if you are not silly enough to buy them at an airport. Long ago my daughter acquired a small plastic Kiwi (after all, we are New Zealanders) and it has ridden on many international flights at a known location on the bag in use. I've not ever seen any other Kiwi enhanced bag - so please use something similar instead :-). Ok, probably this will sounds silly, but...why even bother to solve a problem that you can easily avoid from the beginning? There exist dozzillions of different bags/backpacks/luggages waiting to be bought, why buying the most common looking, unspottable one, to then wasting your time to make it different? Not the answer you're looking for? 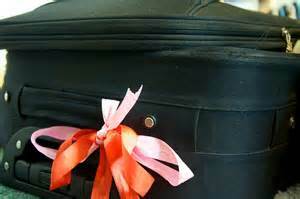 Browse other questions tagged luggage tips-and-tricks or ask your own question.